Presenter Jobs>Other Presenter jobs>Trivia Host/Quizmaster! 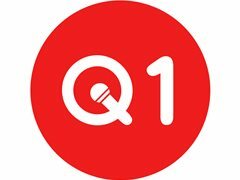 Question One is launching some new and exciting trivia nights in Adelaide and need great hosts! With over 15 years experience hosting trivia nights in Melbourne, Sydney and beyond we are offering high quality trivia to venues across the country. You will have experience hosting, but training will be offered. You will be committed to building events from the ground up, working with us and the venue to create a successful night with regular players.